#1: A photo book with a few pictures of yourself and family. You could include a letter. Write about yourself and your childhood. Share your likes and dislikes, hobbies, and other things about yourself to help the child get to know you. 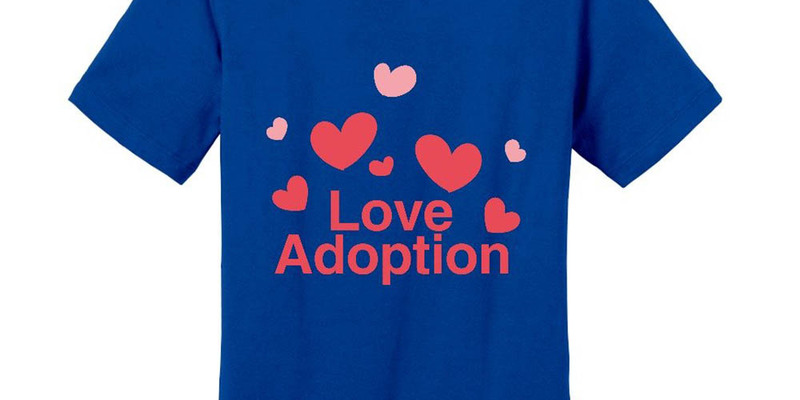 Explain why adoption was the right route for the child and for you. Maybe it can help the child later to get closure if it is a closed adoption, or to have to know who you were/are. In the photo book, put pictures of you and your family. Let your child see you as a kid. This is such a simple keepsake that lets the child think of you, and the joy it gives them is so sweet. To make it extra special, maybe attach a poem about love or adoption. Ask the adoptive family what the child is into, like science or art. What movie or TV show character(s) does your child like? Find a matching book, craft, or toy. Still not sure? You can always share what you liked as a child. Bond a little over potential shared interests. Any bracelet or necklace with the child’s birthday or adoption date imprinted on it is special to them. Maybe a “best friends” type of jewelry. You give one to them, and then have one for yourself to match as well. This can be a great thing to keep you close to each other. It doesn’t need to say “best friends,” but the idea or sentiment is the same. This is a great gift for any age! It is something your child can keep to snuggle like a big hug from you every time your child uses it. Use your or your child’s favorite color to make it special. You could have their name put on it—the possibilities are endless. If you can sew or make one yourself, add a special piece of cloth that was yours, from a blanket or clothing, to make it personal. Draw or paint a picture; write a poem. Use your talents to make something that touches you or something you enjoy. 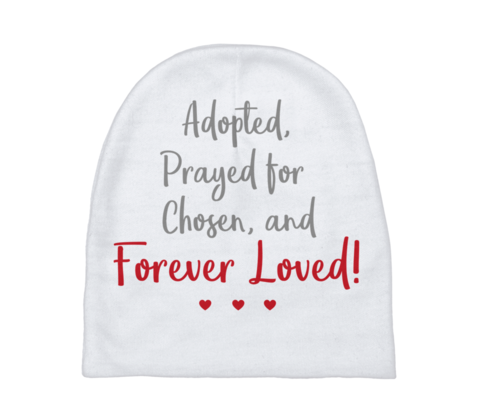 You could stick with the adoption, family, and/or love theme. Keep it happy and uplifting. Put your personality into it. Batman was adopted. So was Superman, Spiderman, Wolverine…. Toys or T-shirts with the superhero faces on it can help advocate adoption as well as be fun for the child. Princess Sofia the First and Princess Leia were adopted, too. Share with your birth child a hobby of something you liked growing up. If you are into art, send paper and paint. If you like music, send CDs of your favorite songs or artists. Think of toys or movies you liked as a child and send them something similar. Any favorite children’s books you had as a child would work, too. Children love books and movies! Get them a great, age-appropriate journal or notebook. Open it up to the first page and start the journal with your own entry. Write about the day they were born, your feelings about adoption, and why it was for you and your child. Encourage them to be open in the journal about themselves, their thoughts, about everything–including adoption. Journals are a wonderful tool and outlet. Any children’s book is always a huge hit! In this case, especially books about love, family and, of course, adoption. Children love stories. They remember the sweet tales and the characters. They can relate to them easily, like looking up to the super heroes. They can find things they have in common with the characters and the story lines! These are only a small sample of ideas, but hopefully it will spark something in your heart that feels right. You can always talk to the adoptive parents, too. Sometimes the adoptive parents can give you better or different ideas as well. I am an adoptive mom, and from Christmas to my son’s birthday in March, he went from loving Paw Patrol to Ninja Turtles really fast! So, you never know if something they liked last week is the same as it is now! Make sure you don’t go overboard. Don’t go out and buy the child a couple hundred dollars’ worth of electronics or toys. Your child will appreciate anything you gift. Also, you can choose to do one gift sentimental, and the next time a fun gift. It doesn’t always have to focus on adoption. Especially if you have a very open adoption, you see your child often, and she/he knows who you are. Sharing and showing your birth child that you care is a big deal for you and for your child. It is a sweet connection you can help nurture in the right ways.